The Nikon Z trade-in offer is now live in the US at Adorama and B&H Photo: you can trade in any operating interchangeable lens camera for a new Nikon Z and get $400 towards a Nikon Z7 or $200 towards a Nikon Z6 in addition to the trade-in camera’s value regardless of camera brand. Focus Camera is also offering a free Nikon travel case and a Sony 120GB XQD G Series memory card with each trade-in. Check also the new Nikon D850 price drop. 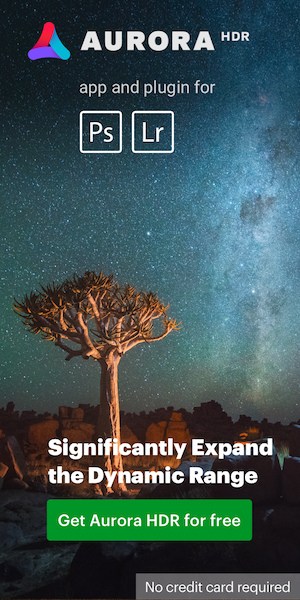 MELVILLE, NY – Today, Nikon Inc. announced a new trade-in program that makes it easier than ever to upgrade to the revolutionary new Nikon Z Series full-frame mirrorless camera system. Starting on Sunday, January 27, 2019, consumers can trade in their operating interchangeable lens camera for a new, cutting-edge Nikon Z Series camera and get $400 towards a Nikon Z 7 or $200 towards a Nikon Z 6 in addition to their camera’s trade-in value, regardless of camera brand. What’s more, consumers can save an additional $100 on the Mount Adapter FTZ when purchased together with a new Nikon Z 6 or Z 7. * This limited-time trade-in program ends March 31, 2019. 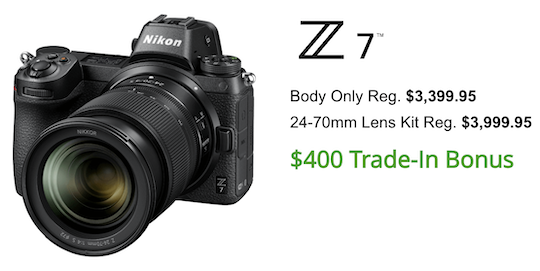 This entry was posted in Deals, Nikon Mirrorless Camera, Nikon Z6, Nikon Z7 and tagged Nikon Rebates, Nikon Z6 Z7 trade-im, trade-in. Bookmark the permalink. Trackbacks are closed, but you can post a comment.